Adult Education and Development. Communities. Adult Education and Development. Post 2015.
International Perspectives in Adult Education. Volume 52.
International Perspectives in Adult Education. Volume 58.
International Perspectives in Adult Education. Volume 61. Adult Education and Development. Volume 62.
International Perspectives in Adult Education. Volume 66. Adult Education and Development. Volume 65. Adult Education and Development. Volume 66. Adult Education and Development. Volume 67. Adult Education and Development. Volume 69. Adult Education and Development. Volume 70. Adult Education and Development. Volume 71. Adult Education and Development. Volume 72. Adult Education and Development. Volume 73. Adult Education and Development. Volume 74. Adult Education and Development. Volume 77. Supplement. APPEAL Manual for Planning and Management of Literacy and Continuing Education (AMPM). Volume I. policy Framwork for Literacy and Continuing Education. Are you really safe from chemical pesticides? Asia and the Pacific Education for All (EFA) Mid-Decade Assessment. Mekong Sub-Region. Synthesis Report. Asia-Pacific. End of Decade Notes on Education For All. Youth and Adult Literacy. Communities in Action. Lifelong Learning for Sustainable Development. Comunity-Based Lifelong Learning and Adult Education. Situations of Community Learning Centres in 7 Asian Countries. CONFINTEA VI. Regional Follow-up Meeting for Asia and the Pacific. 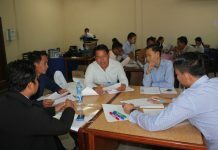 Country Gender Strategy: Lao PDR. Gender,Poverty and the MDGs. Education 2030. Incheon Declaration and Framework for Action for the Implementation of Sustainable Development Goal 4. EFA: Global Monitoring Report: Youth and Skills. Putting Education to Work. Embracing Diversity: Toolkit for Creating Inclusive,Learning-Friendly Environments Specialized Booklet 1. Positive Discipline in the Inclusive,Learning-Friendly Classroom. A Guide for Teachers and Teacher Educators. Final Report: Consultative Meeting and Training Workshop for Developing Literacy Resource Centre for Girls and Women. For Her It’s The Big Issue. Putting Women At The Centre of Water Supply,Sanitation and Hygiene. Evidence Report. From Aquino to Duterte: Is Change Coming To a Country Plundered? A Situationer on Philippine Environmental Issues and Struggles. Gender and Development: Weaving a Balanced Tapestry. Global Education Digest 2010. Comparing ducation Statistics Across the World. 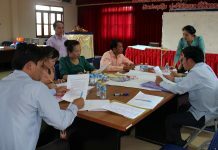 Greater Mekong Subregion Core Environment Program. 2006 – 2007 Progress Report. Honing Minds for Changing Times. 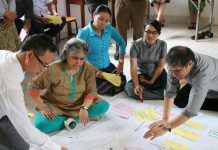 Profiling Trends in Climate Change Education in Asia Pacific. Implementing the Right to Education. A Compedium of Practical Examples. Innovative Financing. For Out-Of-School Children And Youth. Kominkan. Community Learning Centers (CLC) of Japan. Lao National Literacy Survey 2001. Final Report. leo. – Level One Study. Literacy of Adults at the Lower Rungs of the Ladder. Let’s protect our village against natural disasters! Lifelong Learning in Europe . A World of Lifelong Learning: Asia. Vol XV. Issue 4. Lifelong Learning in Europe. Literacy,Adult Education and Lifelong Learning in Europe and Asia Pacific. Vol XVII. Issue 2. MTB MLE Resource Kit. Including the Excluded: Promoting Multilingual Education. National Human Development Report: Employment and Livelihoods. Lao PDR,2009. National Human Development Report: International Trade and Human Development. Lao PDR,2006. Natural Disaster. When it Occurs… What to Do? Our Framework. Policies and Strategies. Gender and Development. PLANET 4. Natural Disaster Preparedness. Facilitator’s Guide. Raising Even More Clean Hands. Advancing Health,Learning and Equity through WASH in Schools. Join Call to Action. Smile Asia. Supporting Maternal and Child Health,Improvement and Building Literate Environments. Soap Stories and Toilet Tales. 10 Case Studies. Synergies and Linkages. EFA,ESD,and ASPnet. Water,Sanitation and Hygiene for Schoolchildren in Emergencies. A Guidebook for Teachers. EFA Global Monitoring Report 2008,Summary,Education for all by 2015. Will we make it? EFA Global Monitoring Report 2008,Education for all by 2015. Will we make it? EFA Global Monitoring Report 2002,Education for All – is the world on track? East Asian Democracy and political changes in China: A new goose flying? Implementing Projects for the Poor – What Has Been Learned?